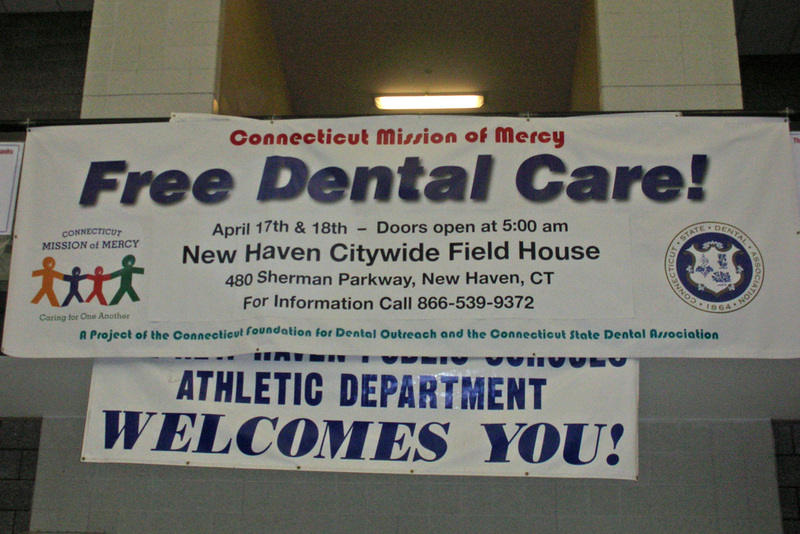 Connecticut Mission of Mercy, a two day, 24 hours of dentistry, dental clinic open to the public, was held on April 17-18, 2009 at the New Haven Public Field House. 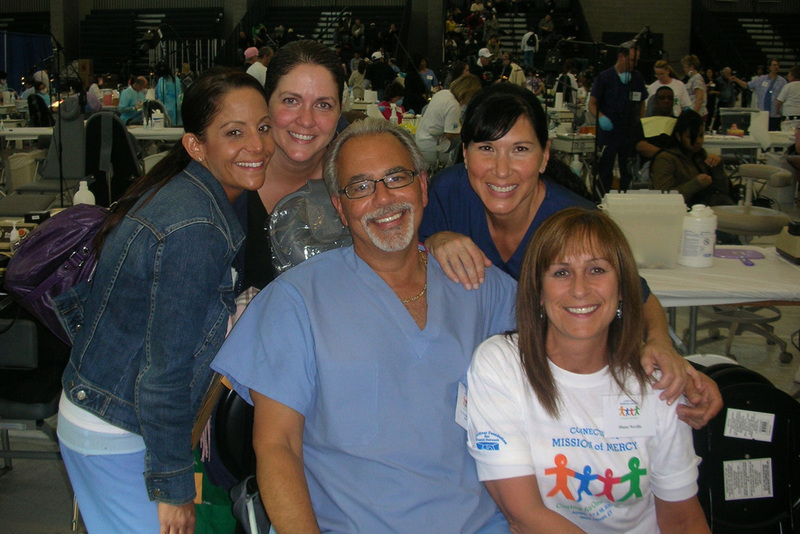 Dr. Chris Boscarino, his assistant, Rhonda Egan, hygienists Julie Reed and Nicole Guerin and Diane Neville (administrative asst) participated in the event. 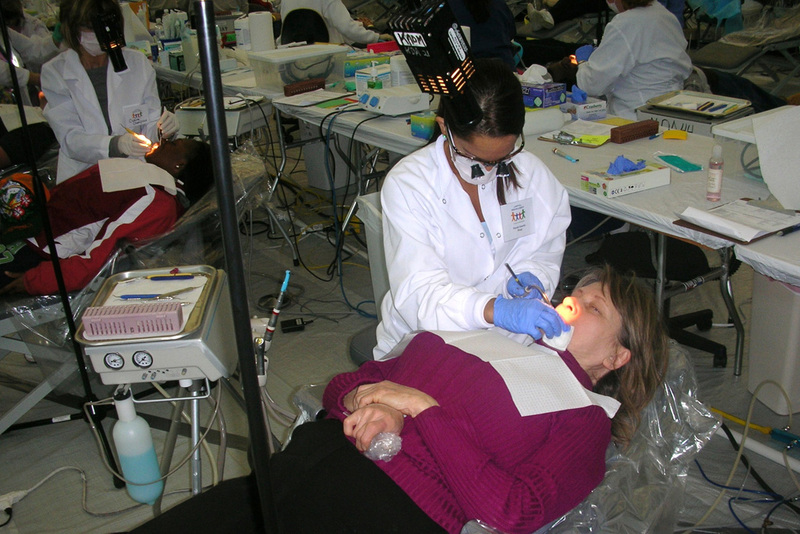 They volunteered to provide 12 hours of free dental services to children, adults and elderly without dental insurance and in a low income situation. 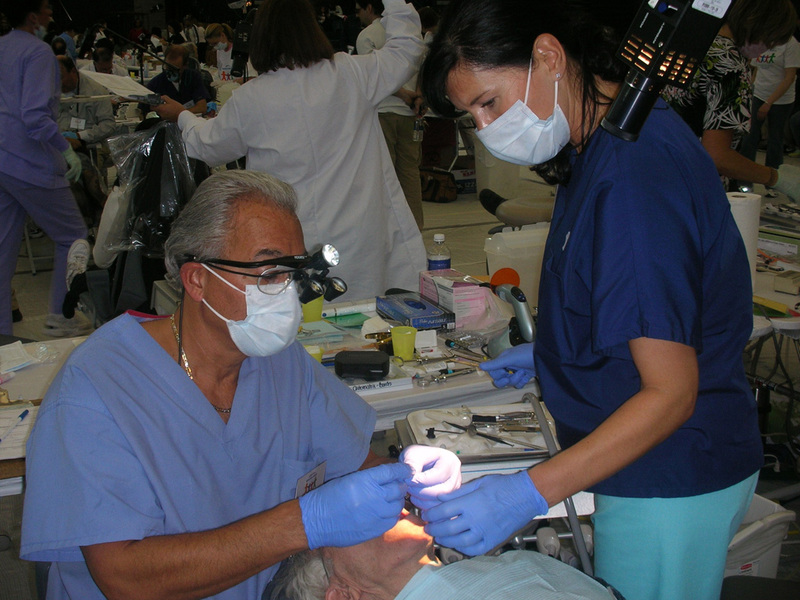 Dr. Boscarino and his staff were 5 of over 900 volunteers that included 50 dentists and 50 hygienists. 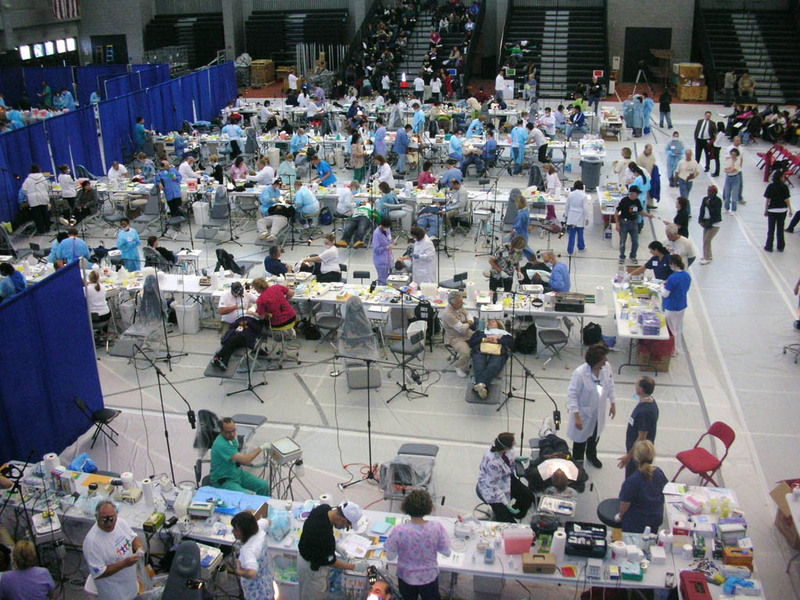 It was estimated that the dental "force" provided nearly $1 million in free dental care to 2000 people over the two day period. By 9:30 AM, on the first day, the 1000th patient entered the field house for treatment with another 1000 in line when the doors opened at 5 AM the second day. 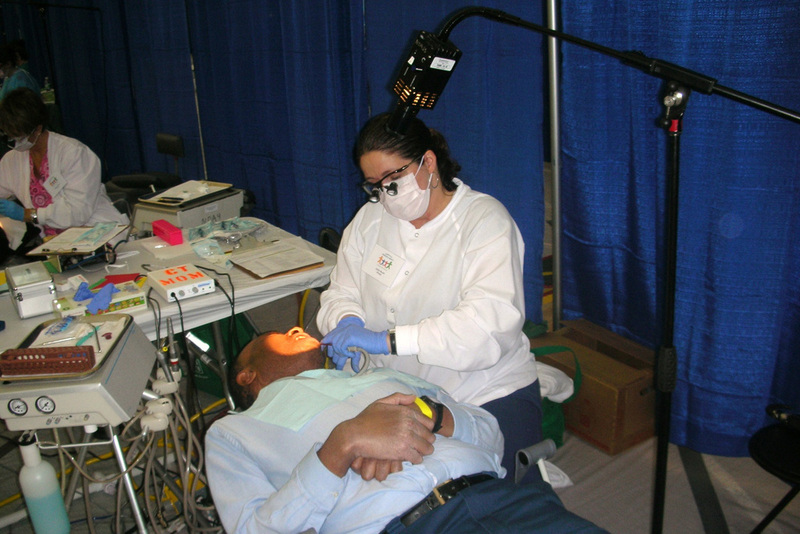 Typical patient response..."God Bless You...." when receiving their much needed dental care. To quote Dr. B, "This was a top ten life day for me and my staff. In many ways as rewarding to us as to the patients we treated." He also said that Dental Health Associates would be back next year! 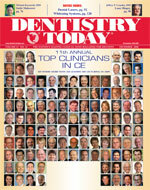 Dentistry Today, One of the nation's leading dental periodicals has named Dr. Goldstein as one of its top 100 Continuing Education clinicians in the nation. This distinction is bestowed upon dentists who have spent many hours educating their peers on a plethora of dental subjects. Dr. Goldstein has been named to this roster for the past six years. He continues to educate other dentists across the country on a variety of subjects, including cosmetic dental procedures as well as the use of digital photography in dentistry.